If you know me well you'll know I love hot chocolate, and with the cold autumn nights coming in I wanted to share one of my favourite quick and easy hot chocolate recipes with you all - Nutella Hot Chocolate! - Pour 8 ounces (1 cup) of milk into a microwave safe mug. - Microwave for 2 minutes or until milk is hot but not boiling. 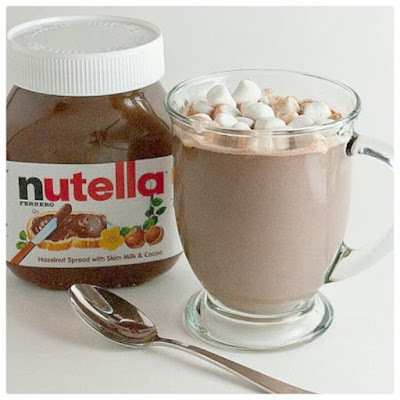 - Remove from microwave and Stir 2 Tablespoons of Nutella into the milk until fully dissolved. - Stir well and add your marshmallows. You may need to re-heat your milk to a warmer temperature.